SEATTLE—Working class and progressive people throughout the Pacific Northwest are mourning the death of Will Parry who passed away May 13 at the age of 93. 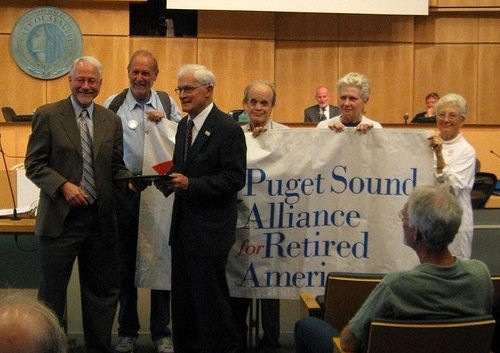 At his death, he was the editor of the widely read Retiree Advocate, monthly publication of the Puget Sound Advocates for Retirement Action (PSARA), a grassroots organization Parry helped organize back in the 1980s. He served as PSARA’s president, leading the fight against any attempts to privatize or terminate Social Security, Medicare, or Medicaid. Until a few weeks before he died, Parry continued to attend meetings of his Communist Party Club in Seattle. 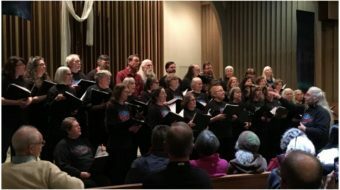 Parry’s comments on immediate struggles in Seattle, Olympia, and Washington, D.C. reflected his belief that the massive coalitions fighting for immediate progressive gains will one day lead the fight for socialism. Parry was a troubadour who played his well-worn guitar and sang folk songs at rallies and meetings. He serenaded senior citizens at nursing homes in the 1980s and 1990s, singing any song requested. He was tall, lean, and strikingly handsome. He had a quick smile and a ready wit. In his final years, Parry’s companion was Imogene Williams. They lived in her gracious home at the summit of Capitol Hill. It is here that Parry celebrated his 93rd birthday with chocolate cake and ice cream surrounded by those who loved him. A steady stream of his admirers came to visit him in his illness. He died peacefully with Imogene at his side. Parry was born in Seattle, great grandson of a mayor of the Emerald City. His father was a small businessman, radicalized when his company went bankrupt. The father took Will to hear William Z. Foster, Elizabeth Gurley Flynn, both national chairpersons of the Communist Party USA, and any other advocates of socialism who visited. After high school graduation, Parry attended Washington State College where he starred in track and field and graduated Phi Beta Kappa. In his final year of college, he returned home to Seattle. The nation was still locked in the Great Depression and Parry contacted the Young Communist League and joined. During World War II, he served in the U.S. Coast Guard. After the war, he wrote for the San Francisco-based People’s Daily World (a predecessor of this online publication). Cold War anti-communist witch-hunts forced staff cutbacks and Parry was laid off. 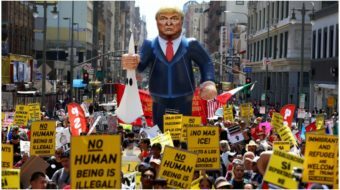 He faced constant FBI harassment and blacklisting, including summons to appear before various witch hunt panels such as the House Un-American Activities Committee. By now he had met and married Louise Long. They had two children. Despite the fierce Cold War repression, Will and Louise Parry lived lives filled with struggle, many victories, and much joy. Louise was a tireless, witty, organizer in her own right. For decades, the couple was an inseparable team, active in all the movements for union rights, peace and equality. She died in 2006 at age 85. Parry finally found a job with Longview Fiber, a manufacturer of corrugated cardboard boxes with a plant in south Seattle. Longview Fiber’s personnel director rejected the FBI intimidation and stood by Parry. During the depths of the Cold War, a top AFL-CIO leader told Parry he was not welcome at labor movement headquarters. As they say, the times they are a-changing. 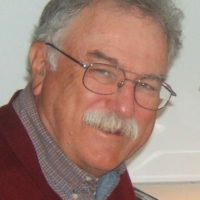 The Washington State Labor Council honored Will Parry with its “lifetime achievement” award in 2002, celebrating his uninterrupted struggle for the rights of working people. He had an office in the Seattle Labor Temple and no one was more beloved. Will Parry is survived by his companion, Imogene Williams, his children, Naomi and Jon, two grandchildren, his brother, Tom, and by union brothers and sisters too numerous to name. A memorial is planned for June 29.